Everybody knows the benefits of exercise, getting fit can boost your health as well as making you feel better and we are all aware we should all do a certain amount of it. It is the natural healer for both emotional issues and physical symptoms. Exercise is one of the best ways to beat depression and make you happy because when you exercise it promotes the release of the bodies natural feel good chemicals and endorphins the natural pain killers endorphins. Keeping fit is also a great way to help you lose weight and help you to look and feel more healthy, exercise will also help you lower your stress levels and reduce your tension. We are designed for moving and exercising is especially important if you do a non physical job. One way of motivating yourself is to keep reminding yourself how important it is to your health and well-being. Keeping fit can help reduce the risk of some of the biggest illnesses, including reducing the chance of strokes, heart diseases stave off diabetes and some health reports suggest it can decrease your risks of getting cancer. It can also reduce the chances of dementia. Although it might seem strange, exercise can also help boost your energy levels, especially if you are feeling flat and lethargic, but excessive exercising can take its toll on you and leave you feeling exhausted as overdoing things can lead to burnout. Exercise is the age old cure that we've always had, however, we have neglected this natural feel good pursuit which is beneficial for many negative emotional issues and as a result of our health and well-being has suffered. There's is strong scientific evidence to support the claims that keeping physically active can help you lead a healthier and happier life. It has been suggested that regular exercise can have a lower risk of many diseases, such as type 2 diabetes, arthritis, heart diseases and strokes. Research shows that exercise can also boost your confidence levels and increase your self-esteem. It can also improve your mood and help lift depression while at the same time it can reduce your stress levels. So with all this positive feedback about the benefits of exercise, it makes sense to stay physically active so you can keep fit and healthy and live a longer healthier and happier life. Moderate, intensity aerobic activity is recommended, you don't have to over do things the key is regular moderate exercise, this means you're working hard enough to raise your heart rate and break into a sweat. Some types of exercise that fits into this category are, walking at a moderate pace, swimming, bike rides, dancing or playing sports. With the ever increasing technology, people are becoming less active, it is far too easy and convenient to go to the shops in our cars, coupled with the fact more and more of us are living sedentary lives. We spend too much time sitting watching too much TV, using computers, playing gaming consoles or using mobile phones. Although there is nothing wrong with technology, it should not be at the sacrifice of exercise, we should all make sure we keep active as well, because living too much of an sedentary lifestyle is putting our health at risk. 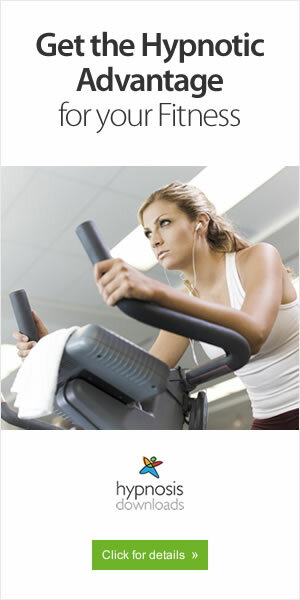 Some studies have shown that exercise can also be beneficial in easing some common ailments. Some people have reported that exercise can help ease the symptoms of migraines and help reduce the frequency of having a migraine attack. However it is important to be aware that if you start to feel dizzy or you begin to experiences feeling's of nausea of blurred vision then take a break from the exercising for a short while. It is believed that cycling three times a week can significantly reduce the frequency of migraines by a staggering 90%. If you choose to do exercise to help prevent your migraines make sure you don't dehydrate and avoid letting your blood sugar levels drop, some experts recommend taking glucose tablets before and after any exercise. Walking is also a good form of exercise to help reduce migraines or tension headaches. Exercise is also very good at helping people who suffer with irritable bowel syndrome. Aerobic types of exercise can help relieve gut tension and sensitivities, exercise also helps reduce stress which can trigger IBS. It is suggested, though that extreme type of exercise such as marathon running can actually stimulate the symptoms of IBS. Contradictory to what most people have been taught light exercising can help to ease the symptoms of back pain and back ache. So when you have back pain you can still do light exercising or movements instead of just resting in bed as long as you do nothing to strenuous like weight training. But always consult your doctor first. Exercise and physical activity can also help you improve your mood, balance your immune system and help you sleep better and help increase your self-esteem levels. Regular exercise can help you look and feel better and increase your life span. Exercise plays an essential role in helping us live a healthier and happier life. To benefit from exercise it is recommended that you do about 2 to 3 hours of moderate aerobic type exercise per week spread over several sessions. A brisk 30 minute walk five times a week can bring huge advantages.